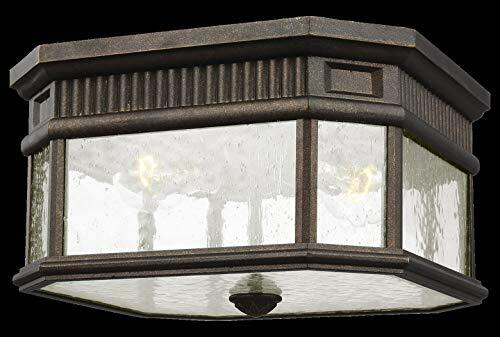 The Feiss Cotswold Lane two light outdoor ceiling fixture in grecian bronze creates a warm and inviting welcome presentation for your home's exterior. 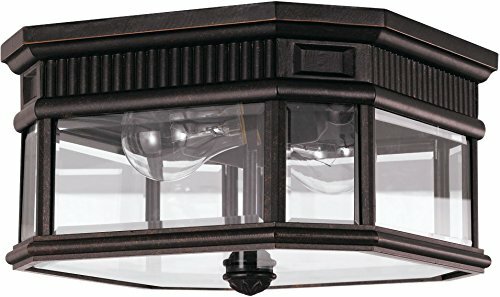 The traditional, antique gas lantern-inspired design of the Cotswold Lane Collection features dentil molding at the top of each pane of beveled glass. Cotswold Lane's profile is timeless and elegant. Available with two finish and glass options: a Black or Grecian Bronze frame with Clear Beveled glass or Clear Seeded glass panels. 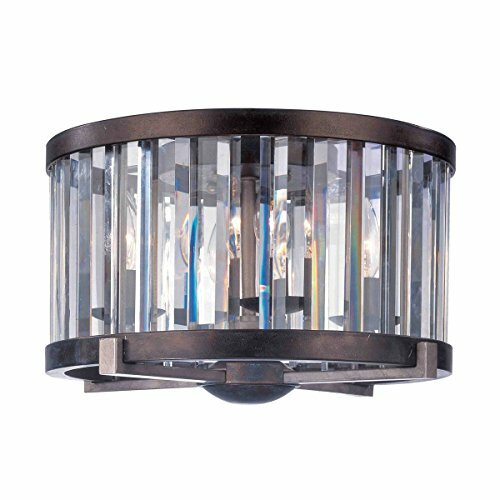 This Flush Mounts 4 light bulb fixture from the Foster collection will illuminate and enhance your home with a perfect mix of form and function. The features includes Grecian Bronze finished color applied by experts. 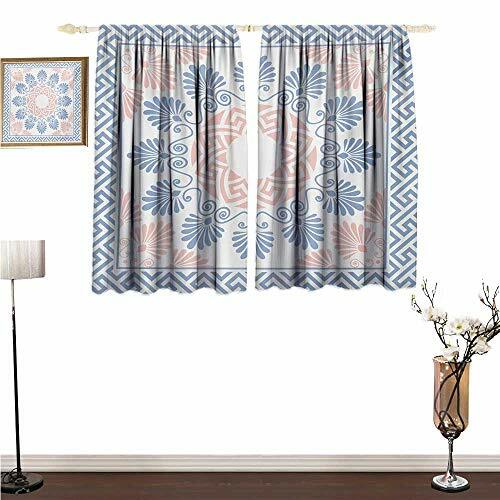 This set includes two printed window treatment panels. Each panel's size is 31.5" wide x 63" long.Made by 100% Polyester.If you need to block over 95% of sunlight during daytime,It will prevent harmful UV rays from reaching your floors and furniture.The printing quality of our curtains is of the highest standard in the industry. The pattern is very clear with no visual flaws. They will match perfectly with a wide range of home styles. Extremely soft to the touch.100% non-chemical smell. From the rich fabrics to the artistic design, the skill and craftsmanship displayed in this collection can be seen in each and every product. 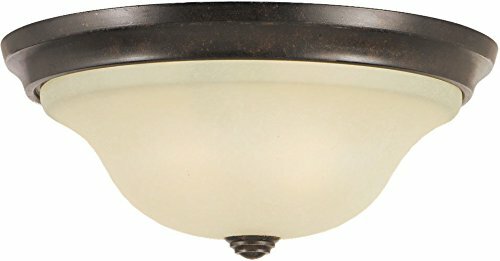 The Murray Feiss FM251GBZ Morningside collection Close to Ceiling Lighting in Grecian Bronze uses Incandescent light output and brings Decorative style. This item is 5.5"H x 13"W. The total wattage is 120 and the voltage is 120 volts. The Murray Feiss FM251GBZ requires 2 bulbs. Additional Information: Shade-Cream Snow Glass. 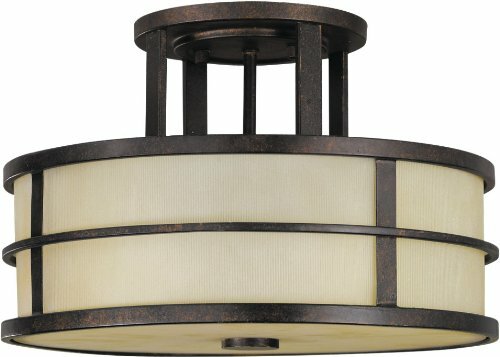 The Feiss Morningside three light semi flush fixture in grecian bronze supplies ample lighting for your daily needs, while adding a layer of today's style to your home's décor. 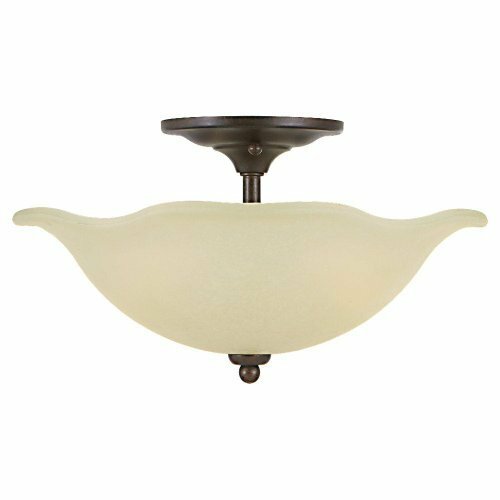 Then Morningside lighting collection by Feiss has gracefully curved arms in rugged wrought iron, finished in Grecian Bronze. 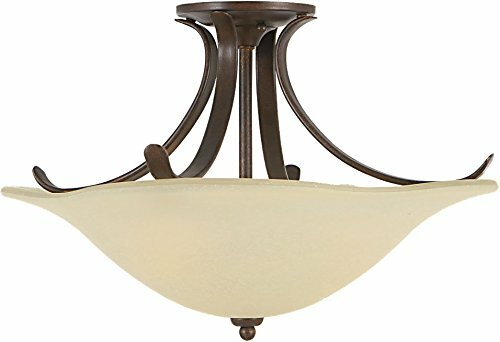 The silhouette is softened with its coordinating Cream Opal etched glass shades with a scalloped, floral influenced edging. 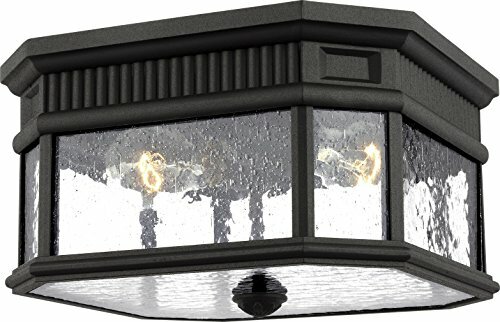 The Feiss Cotswold Lane two light outdoor ceiling fixture in black enhances the beauty of your property, makes your home safer and more secure, and increases the number of pleasurable hours you spend outdoors. The traditional, antique gas lantern-inspired design of the Cotswold Lane Collection features dentil molding at the top of each pane of beveled glass. Cotswold Lane's profile is timeless and elegant. Available with two finish and glass options: a Black or Grecian Bronze frame with Clear Beveled glass or Clear Seeded glass panels. The Feiss Fusion three light semi flush fixture in grecian bronze is the perfect way to achieve your desired fashion or functional needs in your home. Elements from both Asian and Arts & Crafts styles combine to create the design inspiration of vertical and horizontal linear banding creates a beautiful contrast against the Amber Ribbed glass shades and diffuser. Shopping Results for "Collection Grecian Bronze Flush"